Yesterday, Mathilde Laurent presented her new feminine fragrance for Cartier, a silky gardenia chypre in a musky, animalic halo. 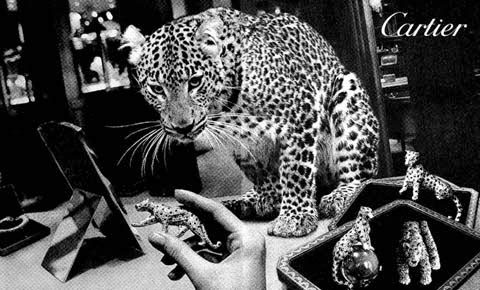 A tribute to the jeweler’s iconic panther, the only animal to give off a suave scent naturally according to the legend reported by the ancient Greek philosopher Theophrastus. “La Panthère” was also the nickname of Jeanne Toussaint, Louis Cartier’s muse in the Interwar years. I’ll soon be getting back to La Panthère, due out on March 15th, but my initial impression is leaving me purring. Meanwhile, Lancôme just announced that La Vie est Belle was the N°1 seller in France over the second semester of 2013, with 3000 bottles sold every day. 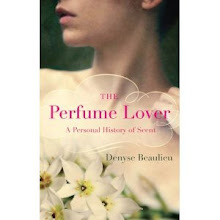 An eau de toilette version with a magnolia note will come out in March. Don’t shoot the messenger. 2013 saw the launch of an unprecedented 1432 fragrances, up from 1330 in 2012. This figure includes 232 limited editions, 229 flankers, 53 celebrity scents and 395 niche launches (up from 331 last year). My nose has just officially asked for a raise. 3000 bottles a day in one country - I am astounded. Will it go up or down when Q3 and Q4 are reported? I will check back here to find out. I love that Panther legend despite the possible grisly outcome. O, and your nose receives a 7.67% raise. Let's round that up to 8%. OK, I won't shoot you, but really - La Vie est Belle is the best-selling fragrance in France??!! And they are going to bring out a version with magnolia??!! I think that I am getting old and cranky, but what is the world coming to? I loved the pictures of the panther, especially the one in your French version. So cute. And yes, of course, your nose must be given a huge rise immediately. Jordan, actually, I checked the press release: the figure is over 3000. My nose in the metro bears this out. Jillie, it seems it beat out La Petite Robe Noire in the 2nd semester. 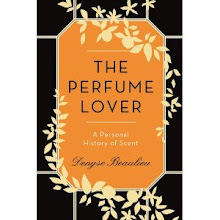 I had my perfume history class on Monday for young luxury marketing students (19/20 years old) and ask a few of them about the scent they wore. The two first young ladies, sure enough, answered La vie est belle. And, on another note, we can never see too many pictures of panthers. They are divine. ps agree about the panthers. The bottle design for this new one looks amazing. Nicola, yes, they really went all out with that bottle, it's impressive. I wore the scent yesterday evening and the sillage got me lots of compliments. Good lord, La vie est belle is one of the most foul-smelling concoctions I have come across in years - a vile fruitchouli fit only for the trash can. Someone gave me a bottle as a gift and it was all I could do to smile and say thank you, wondering what on earth I would do with it. I wouldn't even spray it in my bathroom. As for the Panthere, we love kitties. :-) Looking forward to sniffing the new Cartier. you used all the right words - silky gardenia chypre with a musky animalic halo. can't wait to welcome it to the states. i have loved her work on les heures, so this one has great potential. Minette, it's very different from Les Heures as it's much more mainstream... but a better fit for daily life, and you don't have to mortgage a kidney to get a bottle!